At MEROLLA, ACCETTURO & LOUGH, our attorneys understand that the law affects people in many different ways. We have some of the most experienced attorneys in Rhode Island, Massachusetts, and Connecticut, focusing on several areas of the law. Each attorney has significant experience. Here are a few areas of law in which we practice. Civil litigation pertains to matters involving lawsuits resulting from disputes between private parties (individuals or corporations). Cases falling under the civil litigation area of the law might concern matters such as breach of contract, debt collection, trespass, or personal injury. Unlike civil litigation, which concerns private disputes, criminal matters concern charges made against one or several individuals by the government. Our criminal lawyers have experience both in working for the government as area prosecutors and in representing accused members of the public as defense lawyers. Environmental law encompasses a wide range of services. Our attorneys successfully represent clients in local, state, federal and administrative proceedings. Our team represents clients in disputes and cases where federal, state or local authorities allege noncompliance with environmental and zoning regulations and seek civil penalties and/or corrective action. We assist clients with notice of violations, Permit compliance reporting, septic Systems, wetlands, dam safety and reclassification, marina and residential docks, Water Quality Certificates, NPDES/RIPDES permitting, NEPA and environmental impact assessments, stormwater/wastewater permitting, hazardous and solid waste remediation. For all matters related to the legal aspects of relationships between members of a family. This includes marriage and divorce, child custody, adoption, the writing of wills, and any other matters involving family. For matters related to the creation and maintenance of businesses and corporations. These cases often involve drafting contracts as well as the handling and supervision of all matters involving mergers, liability, financing and other commercial matters. For all matters related to rights and obligations of employers, workers, and union members. Our attorneys offer counsel, advice, and representation to management, employees, and government representatives on issues such as employment standards and workplace health and safety. Whether you need help managing your finances, want someone to get rid of collection agencies for you, or need to declare personal or corporate bankruptcy, we will assist you appropriate counseling and advisory planning to get you back on your feet with minimal anxiety. For all workers' compensation (sometimes called "workmens' comp") matters in Rhode Island and Massachusetts representing employees on a contingency basis. The initial consultation is free and we are only paid if you win or settle the claim. Claims involve injuries related to employment, seeking compensation for lost time at work, medical expenses and related costs, scarring or disfigurement (including surgical scars), and loss of use. In Rhode Island, medical treatment providers seeking reimbursement for their services from insurance companies may also contact us for legal representation on a contingency basis. These are only a few of the many services that we offer. For more information or if you would like to schedule an appointment with one of our knowledgeable attorneys, call us at (401) 739-2900 today. 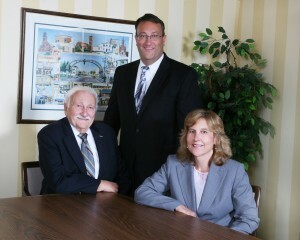 If you need legal advice or representation, call MEROLLA, ACCETTURO & LOUGH today. We can help you take the first step towards putting matters of the law behind you. Below is a partial list of the legal services we provide. If you are unsure whether any of these areas of legal expertise apply to you, give us a call at (401) 739-2900. We are here to help you.